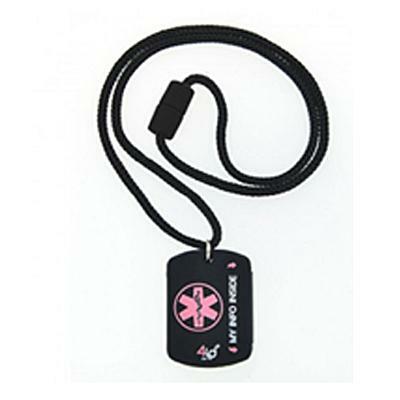 Our lightweight 4id Black Sports Medical ID Dog Tag with Pink medical symbol is all the rage. This necklace features a breakaway cord designed to come undone if it becomes caught. You simply fill out your emergency medical information, and it will be readily available once tucked inside the necklace. Tag features clearly marked indicators to ensure your information is easily found. Product not eligible for further discounts. 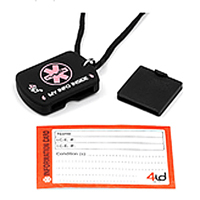 Tag Measurements: 1.25 x 1.60"
Directions: Write your information on the enclosed double-sided, weatherproof ID card, fold the card, and insert into the holder. 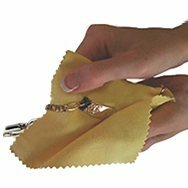 This piece fits into the tag of the necklace keeping your information easily accessible. No custom engraving needed!